These classic style Jade capri jeggings are a super skinny fit, a versatile wardrobe addition you'll be sure to love. In a super skinny fit, the Jade jegging crops look great with a tee or comfy jumper - they're a versatile wardrobe addition. 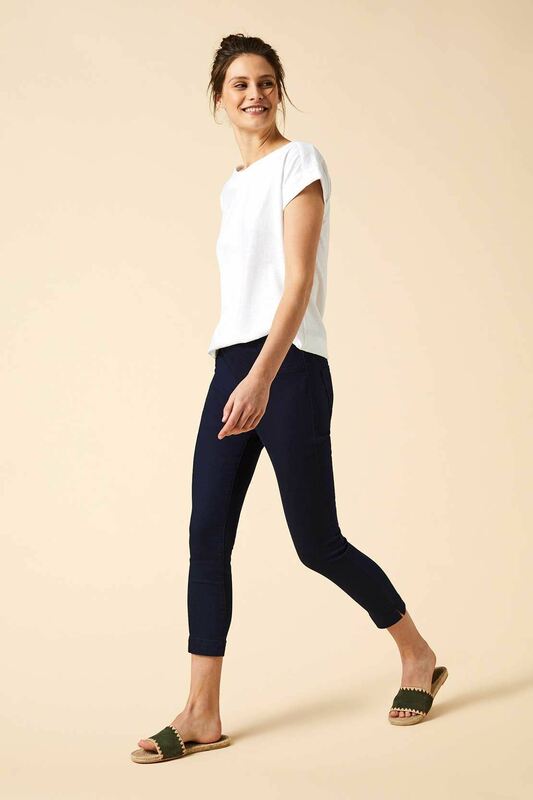 These classic style capri jeggings feature two back pockets and have a comfy elasticated waistband all the way round. In a super skinny fit, the Jade jegging crops look great with a tee or comfy jumper - they're a versatile wardrobe addition you'll be sure to love.